Take a tour! View an aerial map of our buildings and grounds. 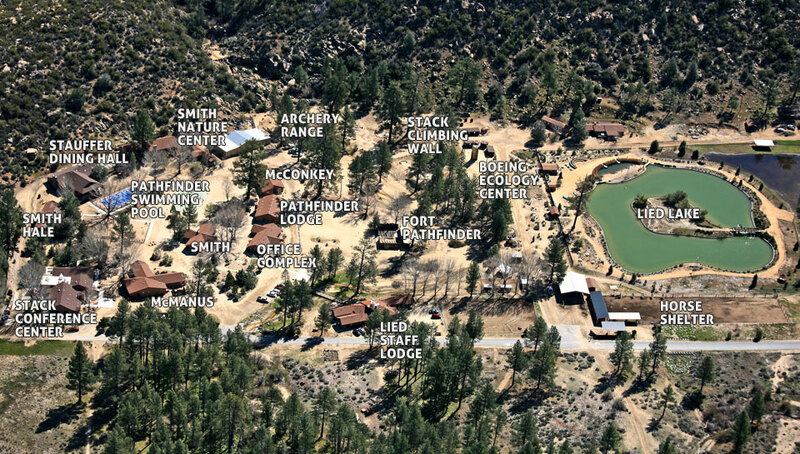 Pathfinder Ranch seeks to provide our guests with high quality and comfortable accommodations. Guests should expect comfortable temperature controlled cabins, washrooms in each lodge, and painstakingly maintained grounds. Pathfinder strives to provide your group with comfortable yet rustic accommodations perfect for church, youth, and corporate retreats alike. For more information on specific facilities, use the links below.